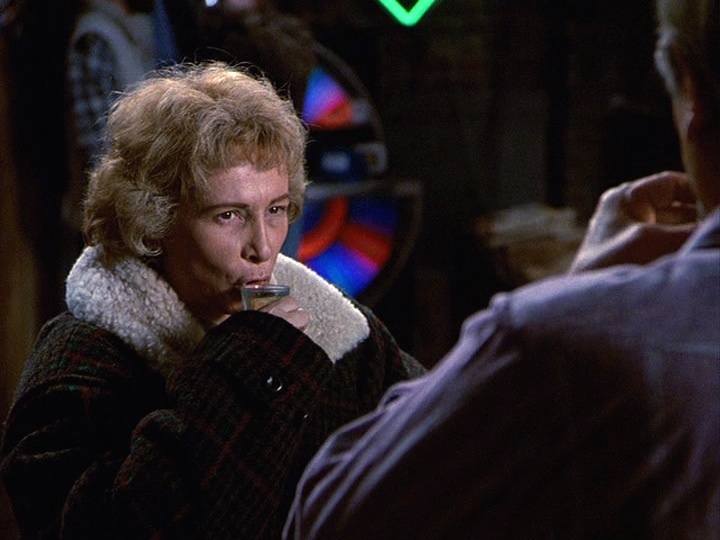 Log Line: Mayoral incumbent Holling is stung by the news that he has a formidable opponent, old friend Edna Hancock, who’s got a bee in her bonnet over a promise he never kept. 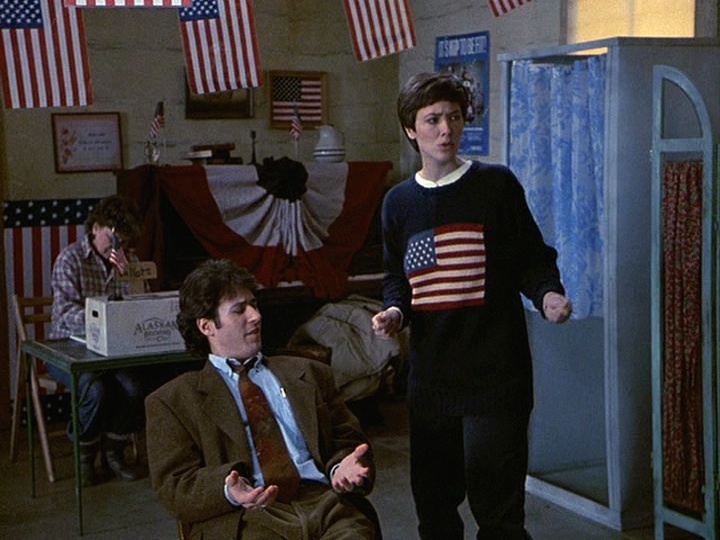 The election also finds Shelly testing the aphrodisiac of power, Ed anticipating his first time voting, and Joel and Maggie arguing party politics. 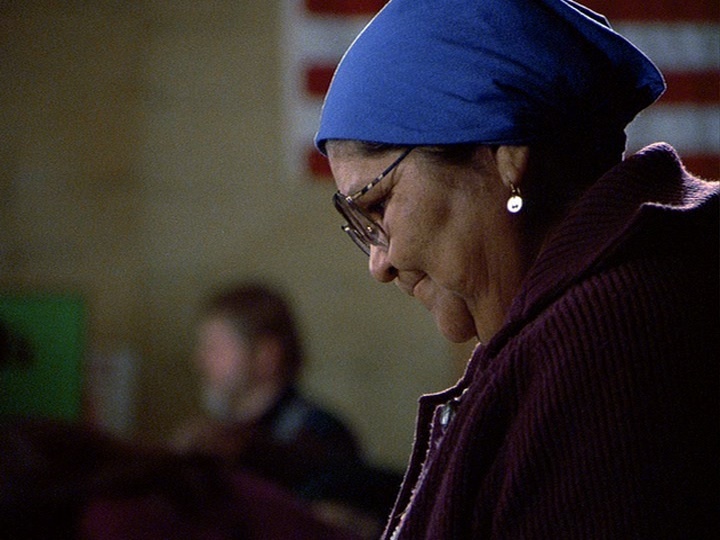 In “Democracy in America,” the town of Cicely experiences an election for the first time. This momentous event brings out divisions between the townspeople, of Holling supporters, and Edna supporters. The vote, of course, is as close as it can get: Holling receives 247 votes, while Edna, the winner, receives 255 votes. 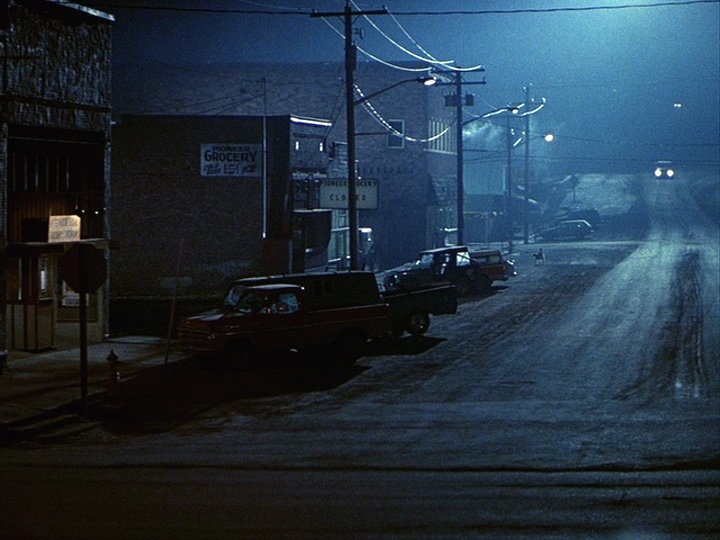 The outcome divides the town. 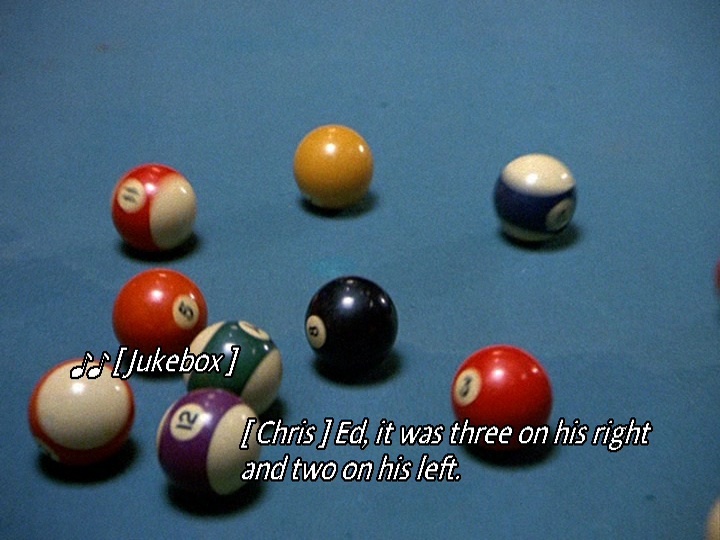 The episode even begins with a rather innocuous moment of Ed and Chris arguing about how many toes “Did Marty Sorenson lose that time he got frostbite.” Chris believes that it was “three on his right and two on his left,” while Ed maintains that it was actually “one on his left.” It is hardly coincidental that political parties are typically described as being on the right or left, is it? The ultimate showdown between two divided sides is shown in the mayoral debate. Holling is on one side, dressed in blue, while Edna is on the other side, in shades of red. Ruth-Anne, the moderator, is appropriately dressed in purple (being a mixture of red and blue). Even the framing of the shots reflect the “two sides” of the debate. 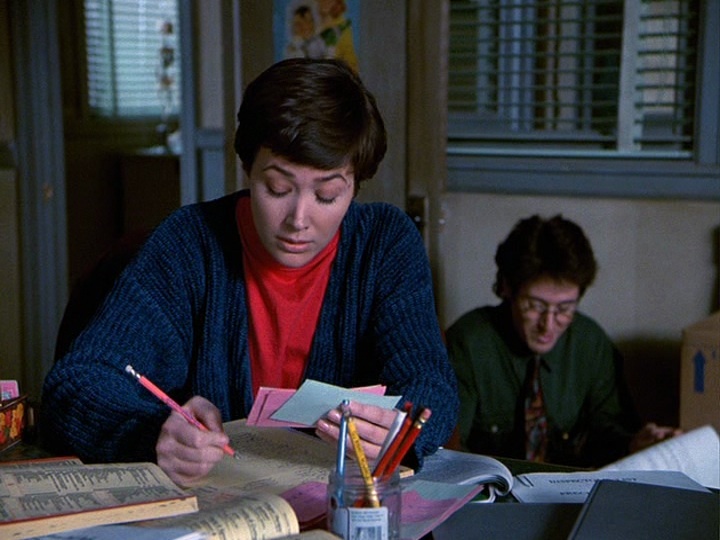 Throughout the episode, Maggie is concerned about the appearance of the polling station as the Chairman of the Election Committee. 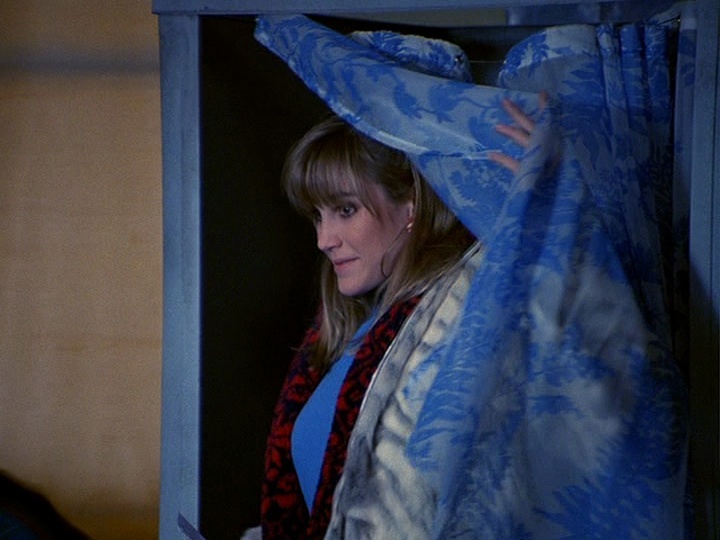 While trying to decide between two different shades of blue crepe paper, she declares to a skeptical Joel, “They may not realize it, but colour creates a mood, a feeling…You change the colour of the room, you change the mood.” Indeed, this idea is demonstrated in the episode itself. 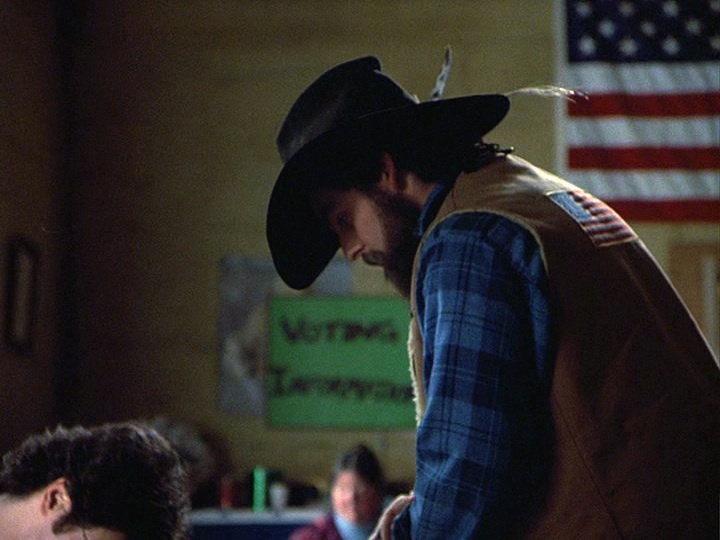 Scenes are permeated with characters wearing blue and red, which not only reflect the upcoming election (and the US flag), but also demonstrate the combative nature of the mayoral fight. 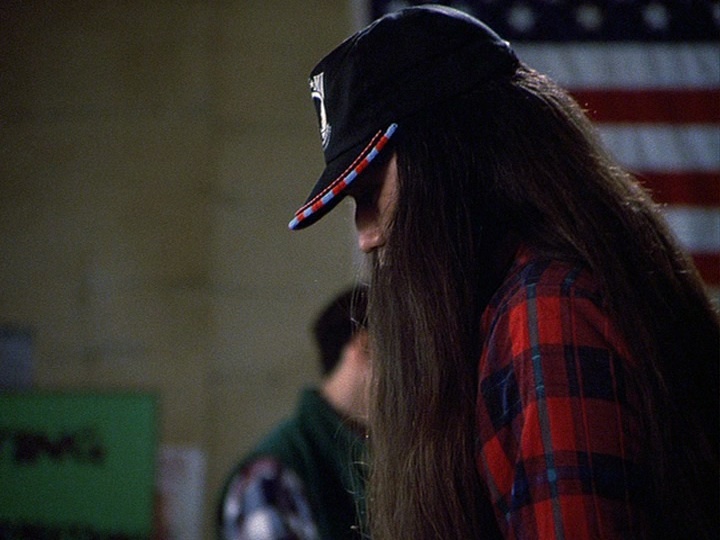 Colours reinforce the patriotism of the episode, and underline the competitive nature of the election. 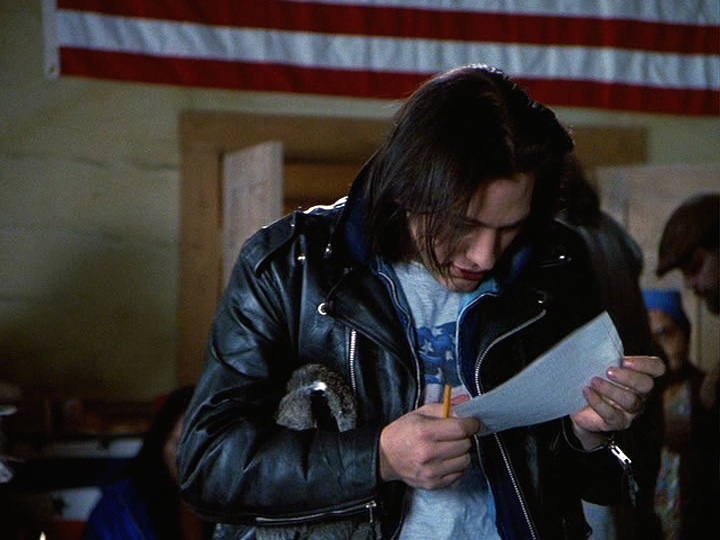 Ed is very worried about his first election. 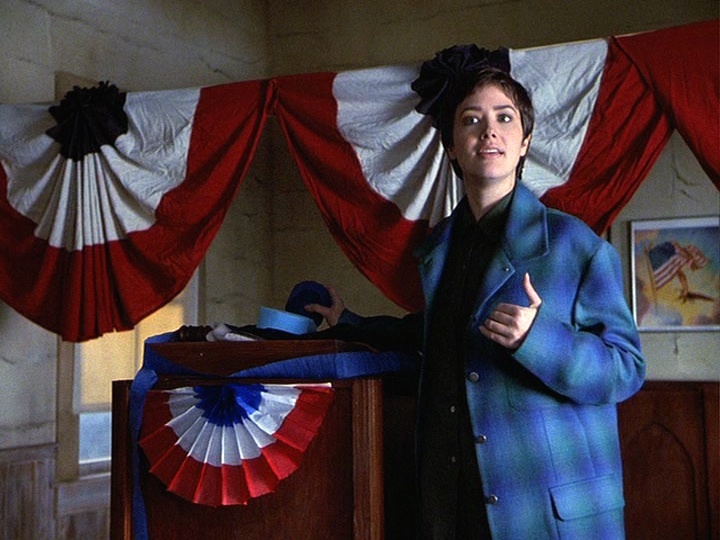 Maggie’s dedication to the election is revealed in her clothes, while Joel doesn’t think much of the “two-bit” election. Predictably, Joel wears red (for Republican? 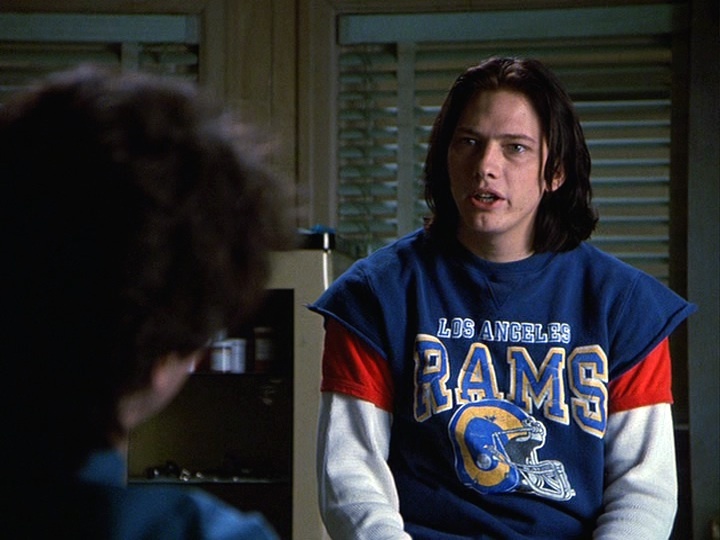 ), while Maggie wears blue in a scene of conflict. The election itself is a great demonstration of patriotic colours. 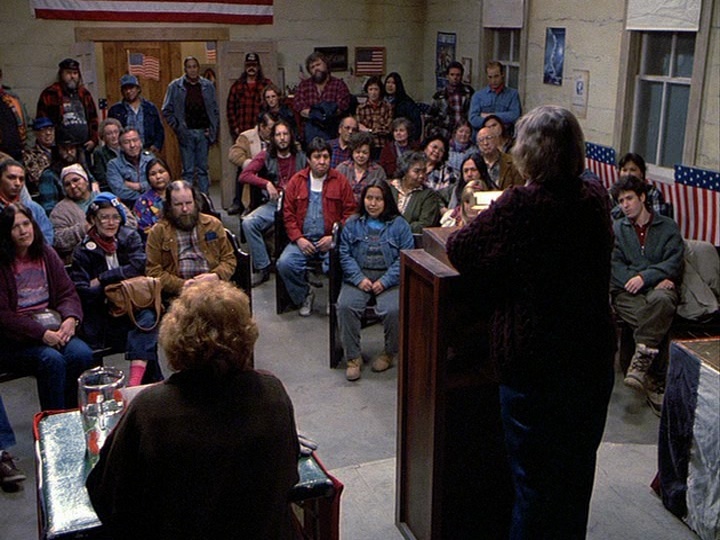 Like many Northern Exposure episodes, “Democracy in America” is filled with paired scenes. In his advice to “a divided Cicely,” Chris advocates for union in the aftermath of the election. 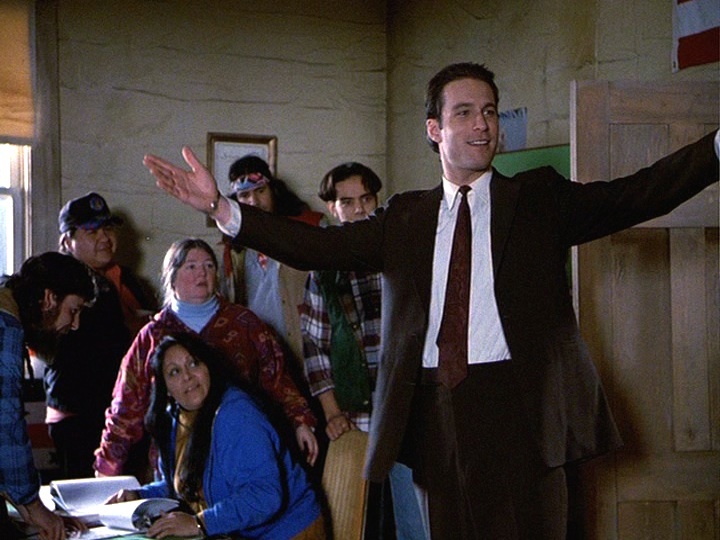 And so throughout we have a scene of conflict with is resolved in a later scene. Despite growing apart, people come back together. 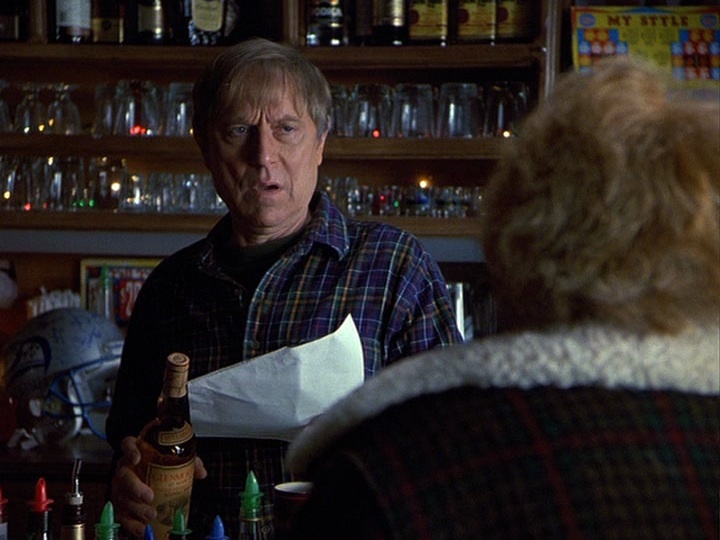 Holling’s offer to Edna of single malt whisky is angrily declined in the beginning, but is accepted in a final scene. 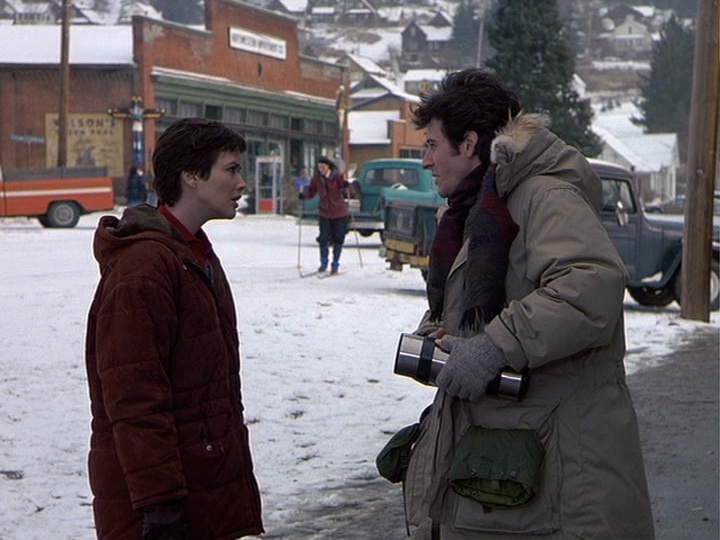 Maggie and Joel argue over politics in one street scene, but later walk together in the end of the episode. 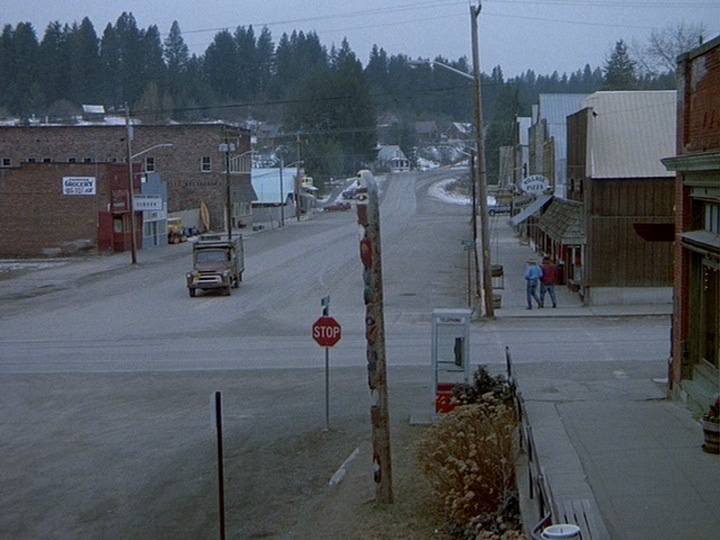 There is even a shot of the streets of Cicely by day in the beginning of the episode, and by night at the very end. 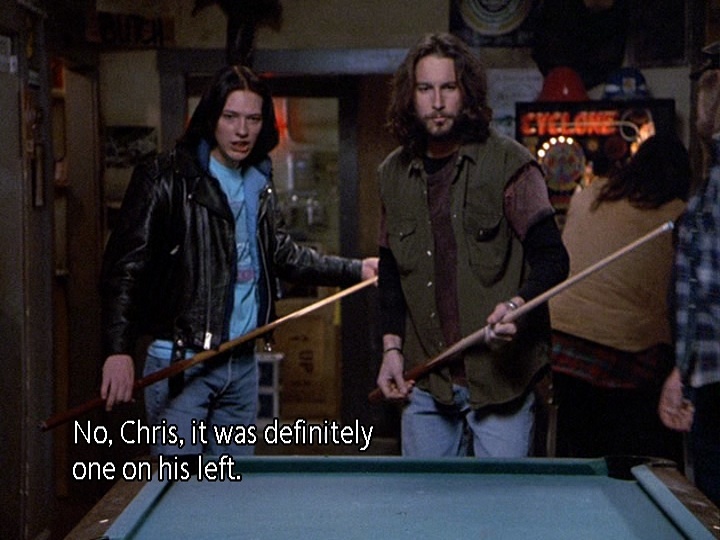 And of course, we can’t forget Chris’ transformation from unkempt to clean cut (he even makes the same gesture!). 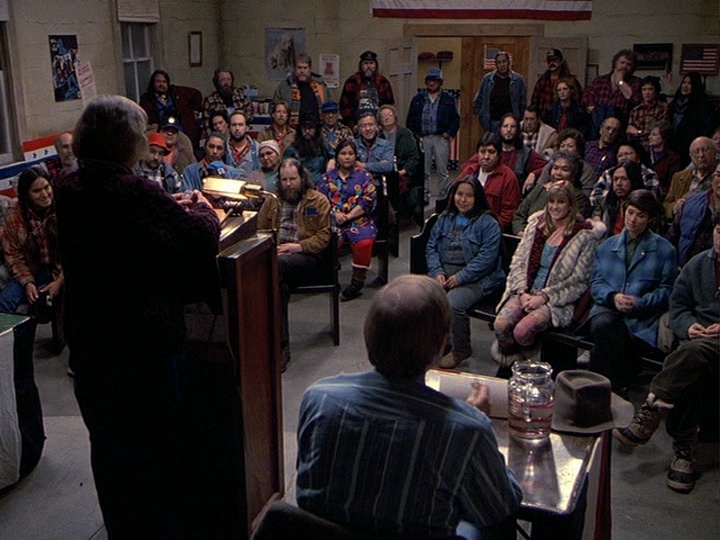 In the end, despite political differences and strong opinions on both sides, the townspeople celebrate democracy and settle their differences with their ballots. A divided town remains one no longer. Themes / Recurrences: Democracy; change; men/women; appearances. The Good: We loved the “moment of reveal” for Chris’ transformation. He definitely cleans up well. 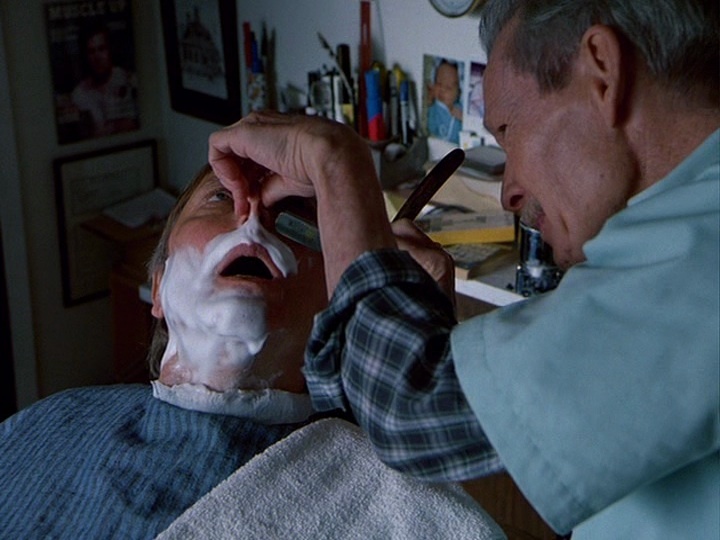 We also loved seeing Holling get an old-fashioned straight-razor shave by George as well. The voting montage is surprisingly moving. 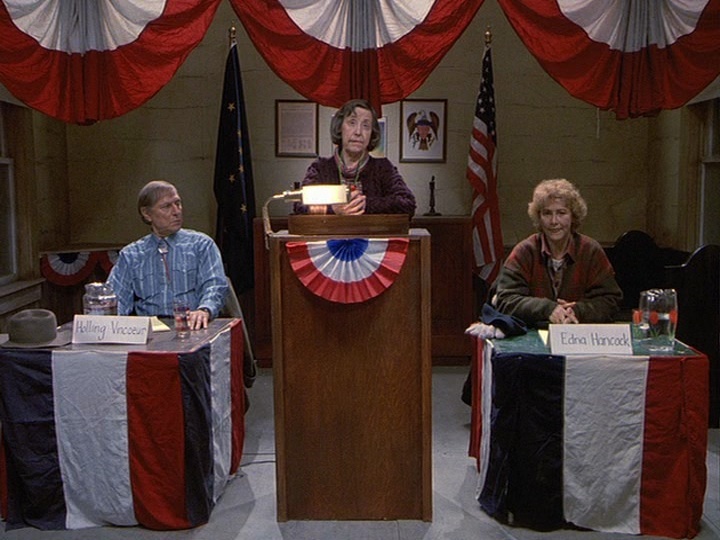 The Bad: The fact that this is the first election Cicely has ever experienced is a bit confusing. What about national elections? 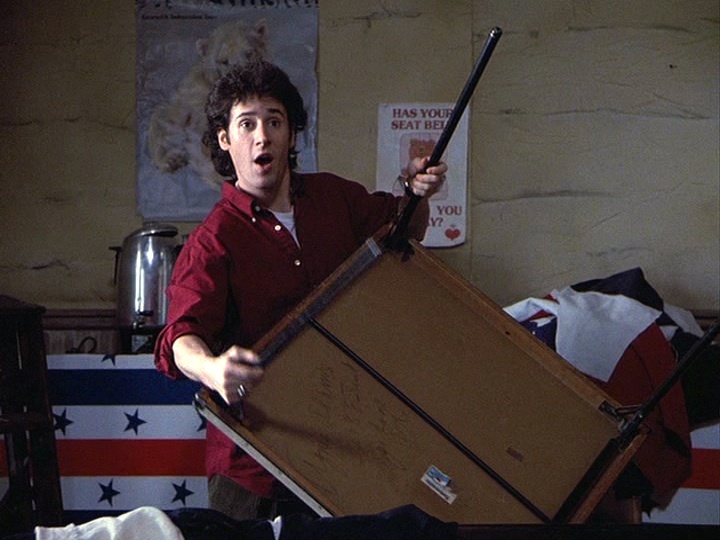 The Notable: Most interestingly, the music in this episode is a compendium of patriotic tunes. We were surprised that it didn’t get annoying!